As for the case of many artists, understanding the work of Mary Wigman (13 November 1886 – 18 September 1973, Germany) is easier if we relate it to the historical and geographical context in which it happens. Wigman starts her choreographic researches within the ambience of the imminence of the First World War and is studying with Rudolph Laban during the time it happens (1914 – 1918). Expressionism, as an artistic trend, is spreading in Germany and Europe with its proposals of the ugly, the deformity, the grotesque and the reaction towards the tragedy of the time. The work of influential groups like Die Brücke and Der Blaue Reiter (from visual arts) or from musicians like Arnold Schönberg, are creating an experimental climate from which Wigman’s thoughts are not detached. 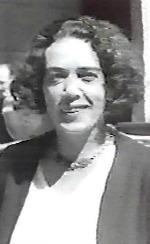 So, after her studies with Dalcroze (with which she finally does not feel identified) and those at Monte Verità with Rudolph Laban, Mary Wigman starts a brave search for a dance that, according to her, doesn’t exist nor doesn’t have any masters or traditions to lean on, but for which Germany is prepared. As part of the project, she creates a dance school in Dresden (in 1920) where students assist to learn something that no one yet recognizes. However, Wigman knows definitely what this new dance should not be: an empty result of manipulating the form of movement throughout bodily technical skills. That is Ballet, according to her. In those days, Ballet is not such a popular practice in Germany as it is in other countries of Europe, like France. However, it is the only form of dance presented in the official theaters and carries the influence of the Russian Imperial Ballet. For Wigman, the work of ballet dancers is limited to a technical skill that would only be measured in terms of technical virtuosity. The lack of a deep pulsation that would define dance is compensated by an unlimited virtuosity. But she is in the search for something different. Interested in the relationship between human being and cosmic forces, she describes her creative experience as the transformation into movement of the invisible forces that give her life. The dancer is a medium for her; dance functions as a trance, accomplishing its cathartic function recognized by archaic societies; dance is first of all an expression of ecstasy (or emotional impulses) that creates forms of movement as a consequence. Therefore, educating a dancer is about making her/him conscious of the impulses that lay within her/him self and about teaching to give way to those impulses and express them. Her goal is to make dance arise from the deep urges of human being without the need of creating a codified technique. Following these ideas, Mary Wigman gives the first steps and opens the doors of a trend that influences many generations of choreographic artists in the search for new expressive means. Her way of dancing is given the name of Ausdruckstanz(dance of expression or expressionist dance), and states that no movement is considered as ‘bad’ or ‘ugly’ as far as it is executed from a true feeling or is evocative. In consequence, Wigman aesthetics are made up of very different elements compared to ballet. She dances without music, uses non attractive costumes, works over subjects like death, desperation, the war or social riots, and experiments with masks, among other things. She also opposes to the notion of ‘representing’ something while dancing, in a search for a truthful experience: dance should not represent; dance should be. “We don’t dance histories, we dance feelings”, she says. Her career is focused on creating, interpreting and teaching dance both in the solo format and the chorus dances. 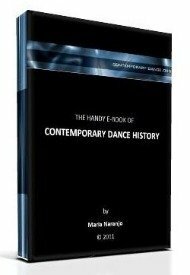 The first one gives her a way to search for new choreographic possibilities and the second one follows the ideas of the massive bodily education started by her master Laban, and is oriented towards the practice of amateurs. Wigman’s work spreads over Germany, with offshoots of her main school in Dresden all over the country. Among her pupils are figures like Gret Palucca, Dore Hoyer, Harald Kreutzberg, Yvonne Georgi, Kurt Joss, Susanne Linke, Gerhard Bohner and Hanya Holm. All this artists dance, tour with her and continue spreading her teachings and ideas in Europe and the United States mainly. Though “Hexentanz” is recognized as one of Wigman’s major pieces, it is important to remember that she has a wider spectrum in her expressive style. Her last piece “Abschied und Dank” for example, does not include any grotesque imagery and shows a basic choreography in which she dances smoothly, without mask, standing and with a very relaxed facial projection. It is also said that Wigman didn’t establish her own technique. Though, her work in time produced indeed some kind of systematization of her teachings, which was recognized and spread by some of her students. A great example of this is a document that consists of more than 70 pages of labanotation scores of exercises of her method. The title of the text is Die Frankfurter Seminarreihe in Wigman-Technique mit Prof. Gundel Eplinius (Frankfurt, 1990) by notator Anja Hirvikallio. •	LAUNAY, Isabelle. Rudolph Laban, Mary Wigman. Á la recherche d’une danse moderne. Chiron, Paris, 1996.